Jurgen Klopp released a huge sigh of relief on behalf of all Liverpool fans as Sadio Mane fired in Liverpool’s fourth against Crystal Palace on Saturday. The forward’s composed finish in stoppage time proved all the more important as Max Meyer replied with a third for Palace to set up a tense finish just moments later. It was perhaps the team move that pleased the Reds’ boss most, with Alisson capitalising on an opportunity to break with an enormous throw to Andrew Robertson, who showed great determination to keep the ball in play and feed Mane’s run on goal. Every aspect underlined the added hunger and tenacity Klopp demands from his team, not to mention the kind of margin as fine as Robertson stretching to maintain possession that every title contender needs. 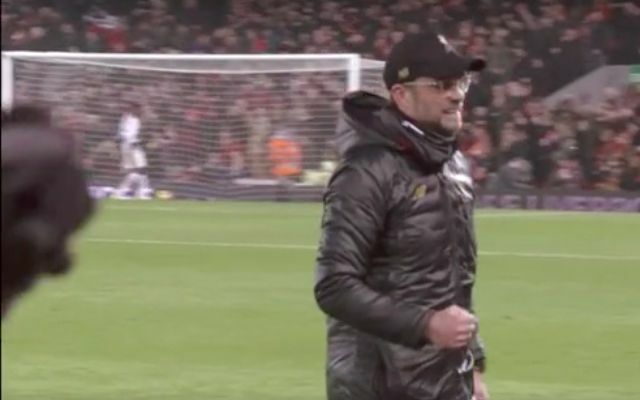 Not only Klopp’s reaction, but that of every home supporter inside Anfield summed up how vital that finishing touch felt.